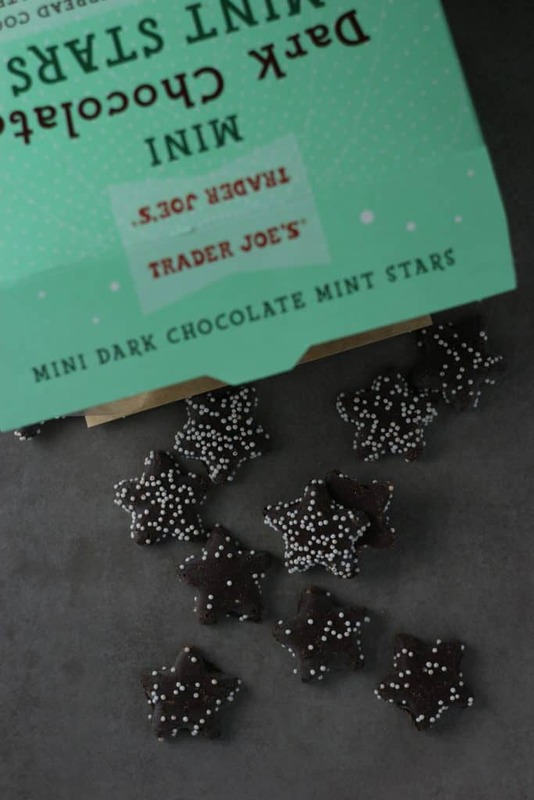 The pros: Trader Joe’s Mini Dark Chocolate Mint Stars are tasty little cookies. These almost reminded me of girl scout cookies with a few notable exceptions. The cons: If you like these, then stock up as they are a seasonal item. I was a girl scout back in the day. The most important thing I got out of girl scouts other than arts, crafts, friendships: Cookies. I get so excited at work when I find out someone’s daughter is a girl scout. That means that cookie orders will be coming around. My absolute favorite are the Thin Mints. I love all things peppermint. So, it’s fair to say that this time of year I am in my glory. 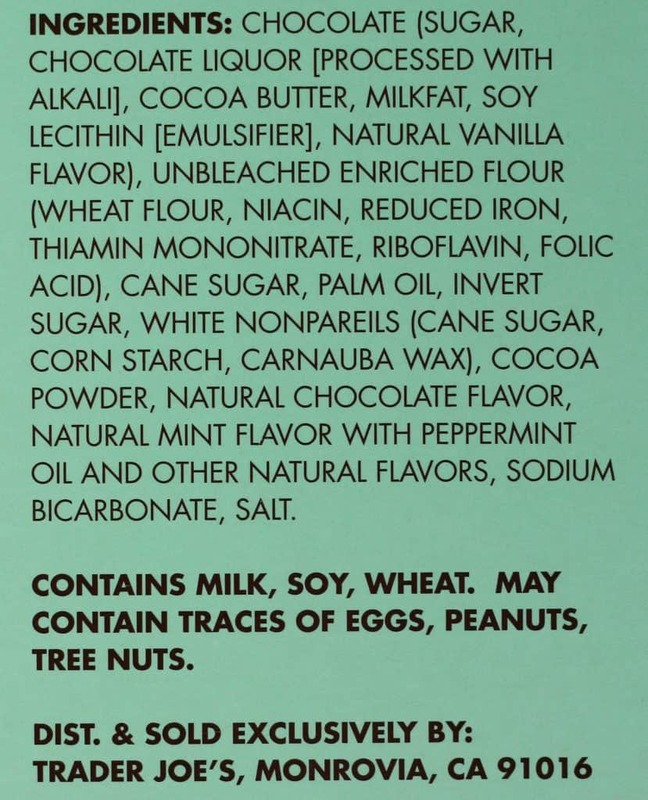 That cookie is no exception to my love of all things peppermint. When I first reach for this box of cookies, I had no idea what to expect. These cookies are very small. They are one bite and maybe the size of communion wafers. Besides the fact that they have white nonpareils on them, these taste just like thin mints. Best of all, they are a heck of a lot cheaper. Now only would these be good for snacking, but they are good for decorating too. 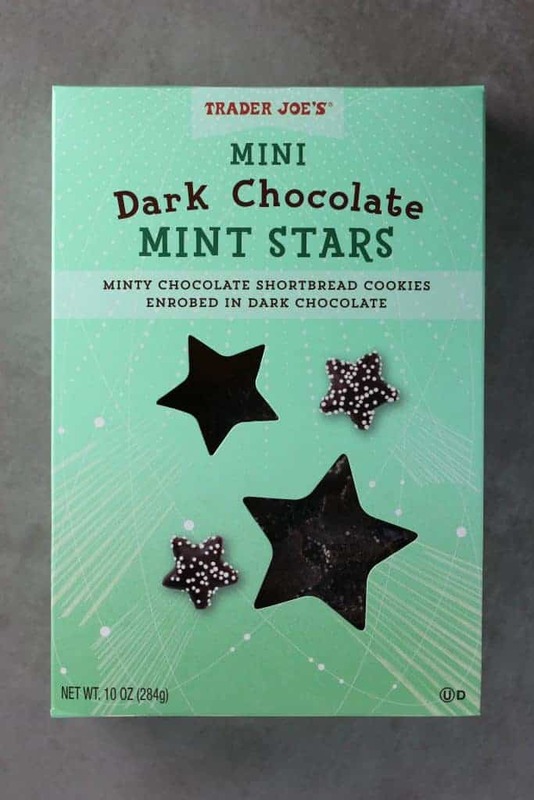 In fact, Trader Joe’s has also added these to a new dessert found the bakery section, with the Chocolate Mint Flavored Cupcakes. These are different from the other star cookies they sell. They are mint chocolate shortbread instead of plain short bread. For $2.99 for a 10 ounce box of mini stars, this is a pretty good value. If you are wondering about the stars that aren’t mint flavored, those are $3.99, but come in a 16 ounce package size. 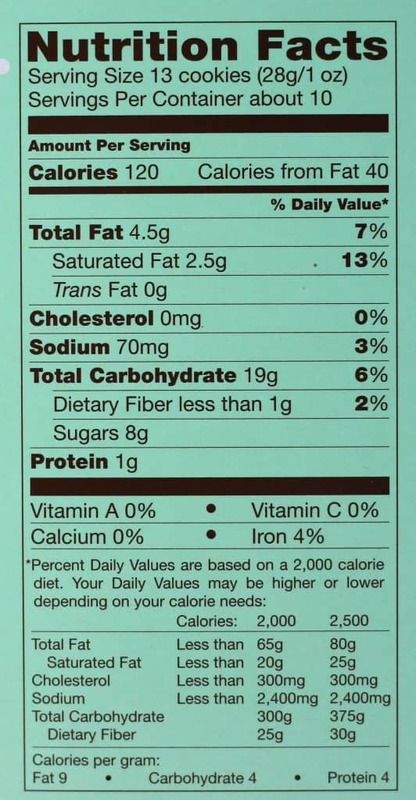 However, if you are craving that familiar girl scout cookie taste, but know an order won’t be reaching you any time soon, then yes, these are a good one to reach for. Would I buy this again? 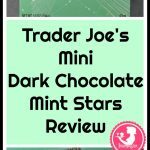 With all the items I’ve tried, one box of Trader Joe’s Mini Dark Chocolate Mint Stars will be sufficient for this season. These are my family’s favorite! Thanks for sharing your thoughts and yes, this was a hit in my household too!